Mandalas are wonderful. It's rare to find something that's so much fun, and feels so satisfying, and enhances your well-being and personal growth at the same time! Whether or not you think of yourself as a creative person, drawing and coloring a mandala lets you express yourself. When you create something beautiful, you give yourself a gift of joy. Not only in the experience of making it, but in the ongoing appreciation of your creation. And mandalas are so easy. Few creative projects are so accessible to everyone, regardless of your level of "artistic" ability. So, to aid you in the pleasure of creating mandalas, you can download a free printable mandala template below. And that's just the beginning. There is much more to help you create beautiful mandalas from scratch, even if you don't know the first thing about designing a mandala. . . .
With these useful tools, you won't need to struggle with compasses, straight-edges, stencils, or curve rulers to try to get a balanced picture . . . which doesn't happen often even with these tools. This book gives you all the forms you need to draw your own mandalas, and even ideas on shape motifs to put into your drawings. 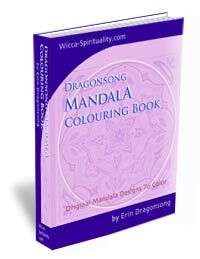 This e-book is free with the Personal Mandala Starter Kit. But you're new at it, and maybe not skilled artistically. Can you make a mandala that is not only satisfying but visually pleasing? Of course you can! I know, because it worked for me. All you need are the right tools, and a little help to get you on your way. Now I'd like to share these tools that work so well for me, because they'll work for you, too. I guarantee it. That's what this is all about... helping you get started drawing your own mandalas today. 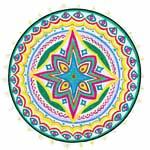 How to Create Beautiful Mandalas is an online course that will open to you the wonderful world of mandalas. How mandalas can help you overcome blocks in your life. In other words: everything you need to know, to get the most out of your Mandalas -- simply, easily, and with wonderful results. And of course, like all these products, it’s 100% guaranteed. A step-by-step guide to making your own mandala. As you follow along, you’ll experience the process for yourself! This is especially important for those of us who are less visually artistic. For some bizarre reason, we were not taught to draw when we were children. We were taught to read and add and remember facts, but supposedly we either came out of the womb with a paintbrush in hand, or we should sit on the sidelines and not do anything creative. This ridiculous state of affairs is easily remedied with a bit of information and guidance. Which is the purpose of the main book in the online mandala e-course: How to Draw a Mandala, step by step. When you finish this book, you will be well prepared to begin drawing your very own beautiful mandalas. 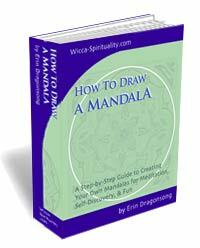 This book comes with the online course: How to Create Beautiful Mandalas. Original mandala designs for you to color. If you want more inspiration, or to dip your toes into playing with mandalas, or to easily access the meditative state without fretting about drawing your own, a mandala coloring book is a great place to start. 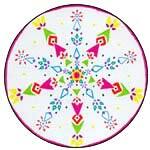 You can enjoy many of the benefits of creating mandalas by coloring mandalas that are pre-drawn. It's easy and enjoyable. And this mandala coloring book has dozens of engaging designs to play with. You will be able to download this e-book free, by the way. These will all be available to you soon. If you'd like to be informed when these become available, please fill out this simple form below, and we will let you know! You have my personal promise that I will use this ONLY to send you information on the Mandala books and course. What do you hope these books will provide? This helps me tailor the books and courses to suit your needs. To learn how to draw mandalas (I'm new to it). To make it easier and more fun to draw mandalas. To make my mandalas look nicer. To make mandalas into a spiritual practice. What do you hope to get out of drawing mandalas? This helps me tailor the books and courses to suit your needs. Anything else you'd like from these mandala resources? This helps me tailor the books and courses to suit your needs. You can also keep up-to-date by subscribing to our free newsletter, The Silver Chalice. Or by subscribing to the Wicca Spirituality blog/RSS feed. You can subscribe to either by using the forms at the top left of this page, just below the navigation bar (that is, the menu buttons). If you enjoyed this article, please Stumble it! It only takes a second to share the good stuff with other seekers.